CARLISLE, PA - SuperValu has found a buyer for five more of its Shop ‘n Save locations in the form of Giant Food Stores. Giant Food Stores announced a new growth strategy earlier this year and has recently debuted a new format, additional new stores, and other expansion efforts across the Northeast. “This acquisition demonstrates our continued commitment to the long-term growth strategy we announced earlier this year,” said Nicholas Bertram, Giant Food Stores’ President. 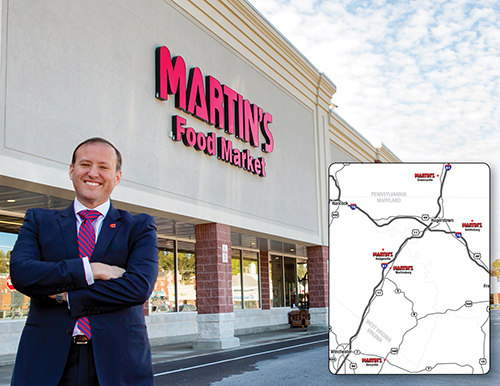 “Our Martin’s associates have proudly served many of these communities for years, and we look forward to expanding the Martin’s brand along the Interstate 81 Corridor and within the Eastern Panhandle of West Virginia,” Bertram added. Giant Food Stores, which currently encompasses 171 locations in four states, has made a series of strategic investments recently, including debuting the new Giant Heirloom Market in Philadelphia, an acquisition a former Darrenkamp store, a new e-commerce hub, and additional new stores in East Stroudsburg and Walnutport, PA. The sale is expected to close during the first quarter of 2019, but is still subject to customary closing conditions and Federal Trade Commission approval.